“Considering the health of the grapes, the level of maturity and the balance with acidity I am very confident in the vintage potential of this harvest,” says Benoît Gouez, chef de cave at Moët & Chandon. 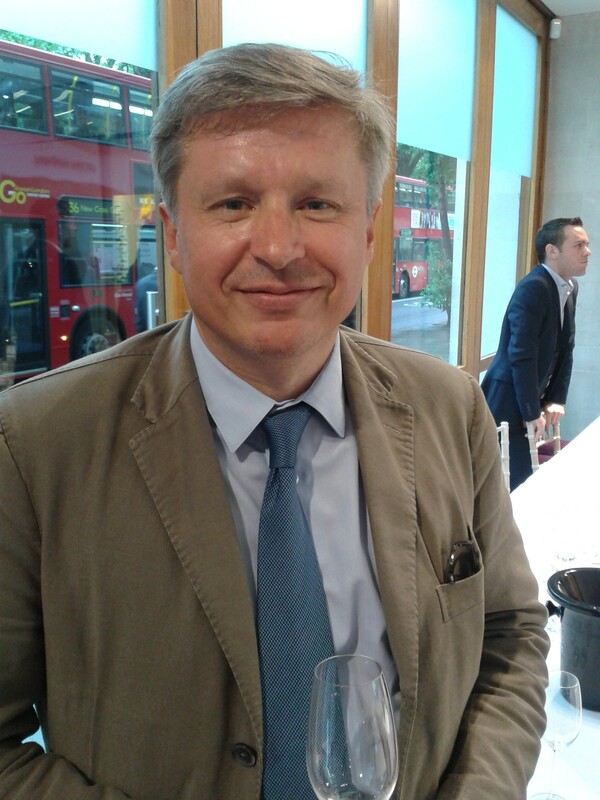 At Philipponnat yields “were only 6 to 7,000 kgs/ha” while at Moët in the Appellation’s largest estate “The average yield is 8.5 tons/ha,” says Gouez. Of those we have spoken to so far since the harvest ended only Perrier-Jouët has reached the maximum yield set by the CIVC. 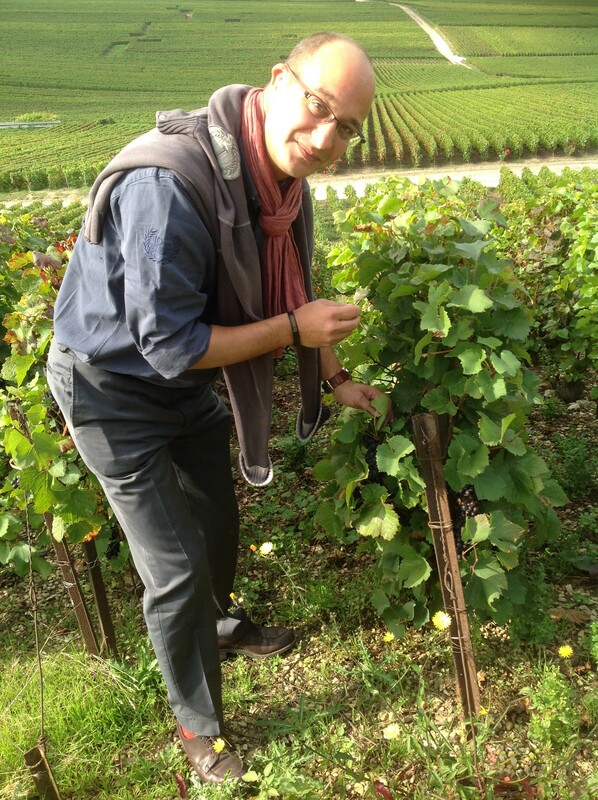 “In our vineyards, we have by average 11,000kg/ha and near 200kg/ha for the Réserve individuelle, says Deschamps. An unusual feature for the 2012 harvest at Philipponnat was: “that the Clos des Goisses grapes were a little less ripe than the Aÿ grapes (the basis of the 1522 cuvée), and the yield for the latter was slightly better, as this very hot terroir [steep slopes that face due south] flowered before the cold spell in June [and thus avoided the problems of uneven flowering], says Charles Philipponnat. Mariottti continues: “With an average alcoholic degree of 10.43 we only need very limited chaptalisation to reach 11deg.” In terms of quality and potential: “I hope to be able to make a vintage but can’t really make any comment right now, I need to taste more wines (all the wines tasted were tasted in between alcoholic and malolactic). 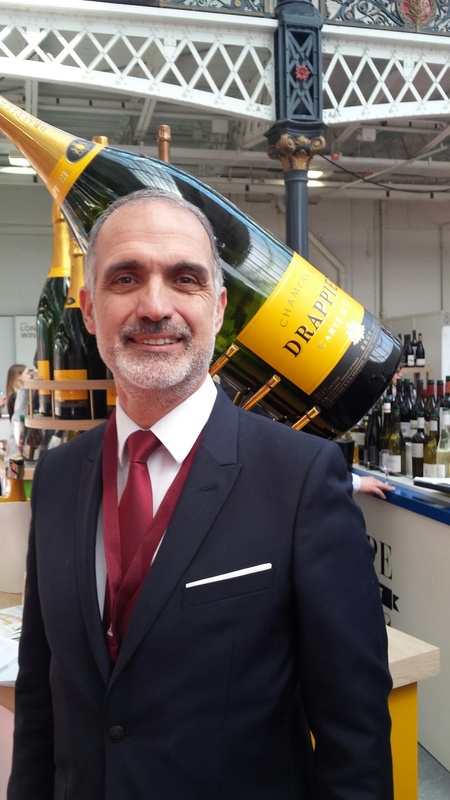 At Veuve Clicquot, head winemaker Dominique Demarville says: “We started picking on 17 September in the Côte des Blancs, in Bouzy (for the red wines) and in Aÿ. In these two areas, we started the harvest the day fixed by the CIVC, because the ripening was good. In the other areas – Verzy, Verzenay, Villers-Marmery, Trépail and Saint-Thierry), we started picking four to six days after the CIVC dates to reach higher ripening, especially for the Pinot Noir. “This year, we didn’t have botrytis pressure, the weather conditions were excellent, so we could afford to wait for a better ripening. The harvest lasted longer than on average because the vinegrowers took time to make sure we reached a good balance, something between 10.5% and 11%vol (sometimes even more) with acidity at 7.5-8g/l (expressed in sulphuric acid.). “Our vineyard was hit by frost in the Côte des Blancs and in Trépail and we lost grapes due to bad flowering, particularly in the Pinot Meunier. We also had some oïdium in the Chardonnay and some Pinot Noir parcels. Selection at the picking stage helped us avoid problems with this disease in the press centres. Because of these issues, we did not reach [a yield of] 11,000 kg/ha, we’re at around 9,500 kg/ha. The best area [in terms of yield] is the northern Montagne de Reims at an average of 10,400 kg/ha. The Côte des Blancs was affected by frost and reached 9,400 kg/ha, while Pinot Meunier was lower at 8,900 kg/ha. We didn’t have any surplus [over 11,000 kg/ha] for the 1,000 kg/ha potentially allowed for the individual reserve. 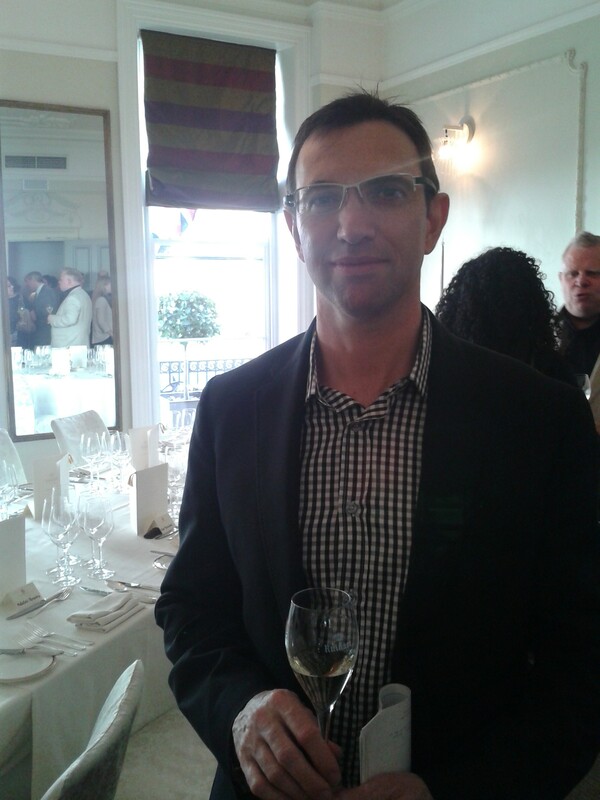 “I am very confident in the vintage potential of this harvest,” says Benoît Gouez, chef de cave at Moët & Chandon. In terms of the quality of the grapes, the fruits was perfectly ripe, without botrytis, in terms of health close to 2008 and 2009; in other words very good! There’s little need for any chaptalization, we chaptalise only juices below 10.8%vol. 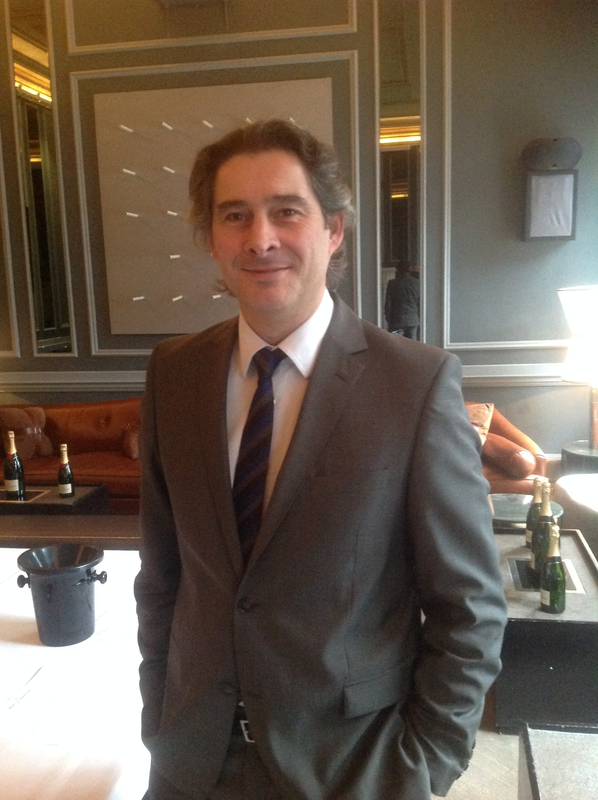 “It looks like 1996, but less homogeneous,” says Michel Drappier of the eponymous house in the Côte des Bar. Another thing to note about this harvest is: “The pressing was done very soon after picking due to the low yield, the grapes didn’t hang arounnd in the press centres. Straightforward pressing conditions resulted in less cloudy juices too. And cool nights with temperatures just 2 to 4 degC, helped preserve freshness and the juices were cool enough to help result in a good ‘débourbage’. “Nature has shown us again who is boss. After a difficult start to the season, fine weather in August and September helped quality thanks to hard work in the vineyard earlier in the year. 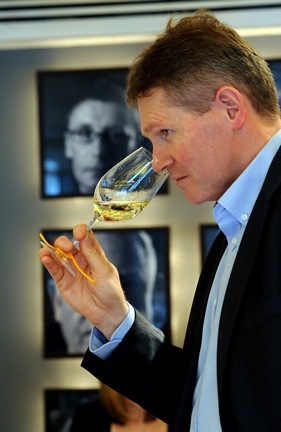 Growers and producers with enough patience will make some outstanding wines,” he predicts. 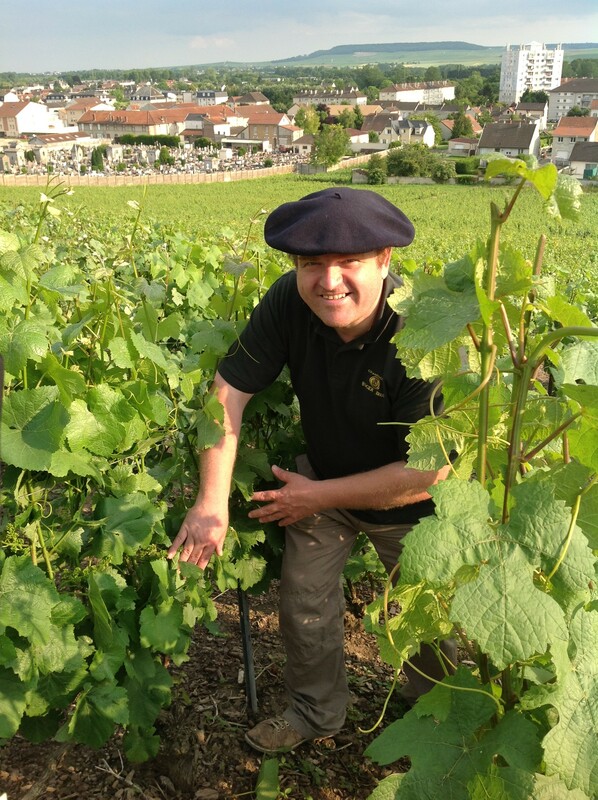 In Courteron in the southernmost Côte des Bars region of Champagne, biodynamic producer Jean Sébastien Fleury began picking one day earlier than the official opening date on 11 September, finishing on 26 September. Their yields varied widely, but won’t reach the appelation limit with some parcels affected by frost and mildew, others by uneven flowering and rot, and some only by frost and rot. Mildew and rot were the biggest issues. Fleury also notes that lack of rain before the harvest combined with the high August temperatures slowed maturity. In terms of overall health and quality at picking he says: “Pinot Noir was between 10.5 and 11.5deg potential alcohol, 8gms/l in acidity with a pH of 2.9. Chardonnay was about 10.4deg, 8.5gms/l acidity and 2.9pH while the Pinot Blanc was 10.6deg, 7.9gms/l acidity and pH2.95. So the quality was amazing without any botrytis and a well-balanced sugar/acidity ratio which makes me think of a very good vintage like 1996 or 1988. We won’t chaptalize at all, which is quite rare. 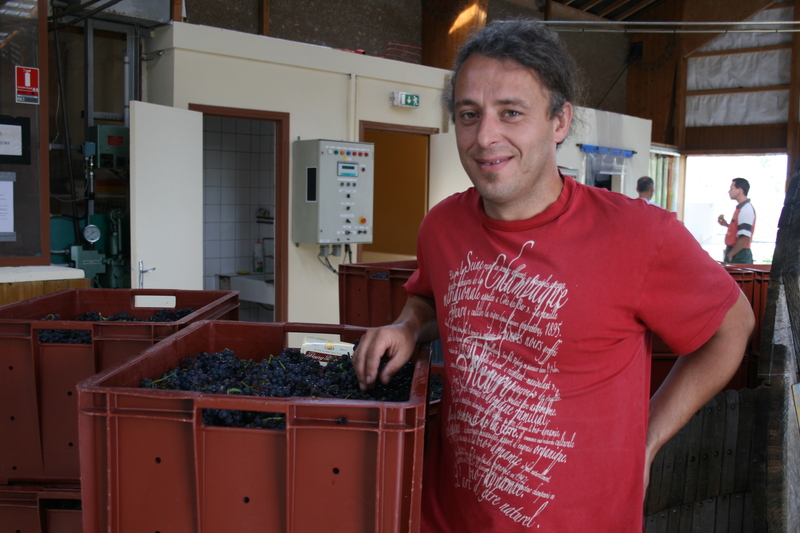 For Philippe Brun of Roger Brun in the grand cru of Aÿ, who presses for quite a few smaller producers and several large négoce, the average yield on his press was 7,800kgs/ha “with some crashing to only 1,500kgs/ha and only five of the 80 growers [using his facility] reaching 11,000 kgs/ha and only two reaching 12,000kgs/ha. “We had winter frost which affected young plants, spring frosts in April and May, a horrible spring with unsuccessful floraison [flowering] and very strong mildew attacks. Those who failed to make their first sprays [against mildew] lost up to 80% of their crop and had to continue spraying to save the vineyards. “Immediately pre-harvest it was nice, dry, sunny, cold by night (good for preserving acidity) and warm by day (good for sugar levels), but it was rainy during the harvest. 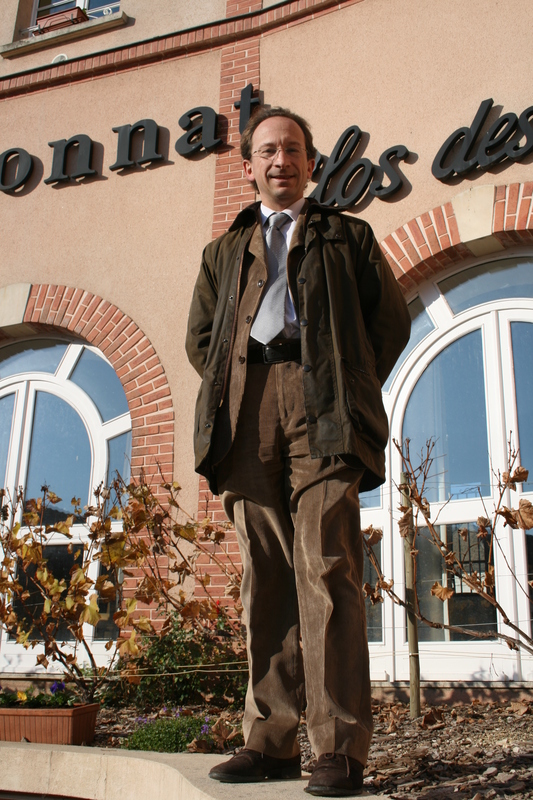 We [his vineyards are mainly in Aÿ, Mareuil-sur-Aÿ and Avenay] picked at an average of alcohol potential of 10.8deg with 7.8 gms/l acidity and did not chaptalized at all,” says Brun.